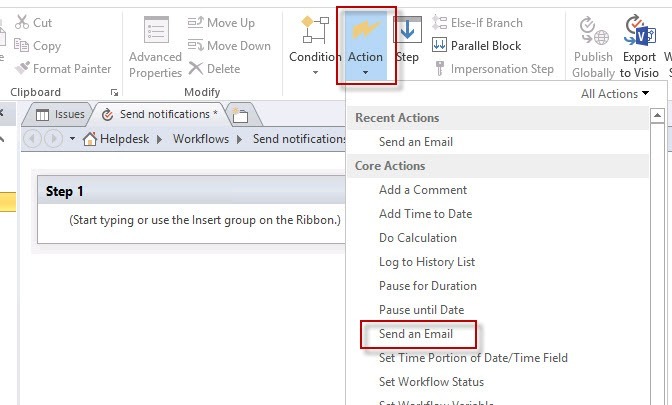 This may just be the smallest and yet most appreciated new features of Outlook 2016. 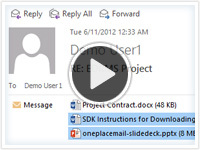 The attach file ribbon button has a dropdown that lets you select recent files saved from any other application. Sounds ridiculously simple, but in practice it is a real time saver. Here’s the use case. I’m working on a file or I’m reading a file I’ve just downloaded from the internet and I want to send it to someone on an email. 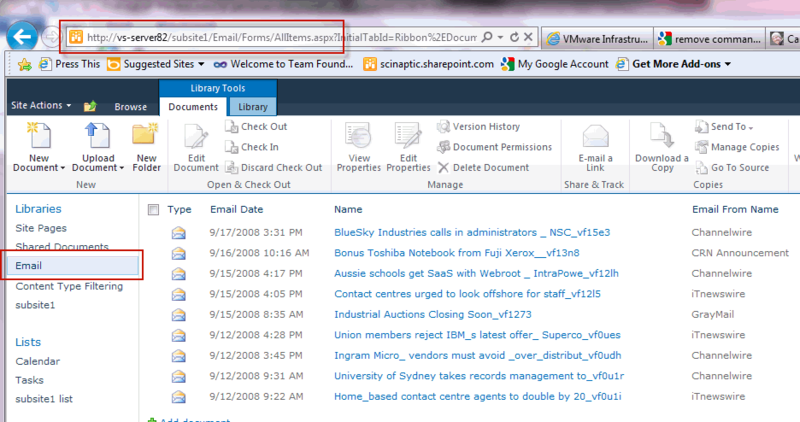 Simply compose a new email and on the Attach File button dropdown the file will be the most recent file in the list. No need to even think about where it is saved, very slick. 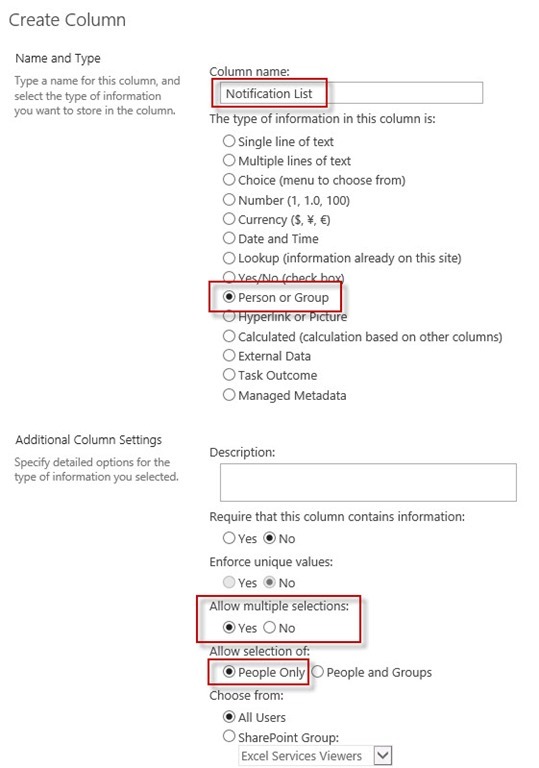 This article describes how to setup a SharePoint list so that each item in the list has a column to allow selection of multiple people to be notified initially when the item is created and also every time the item is subsequently updated or edited. 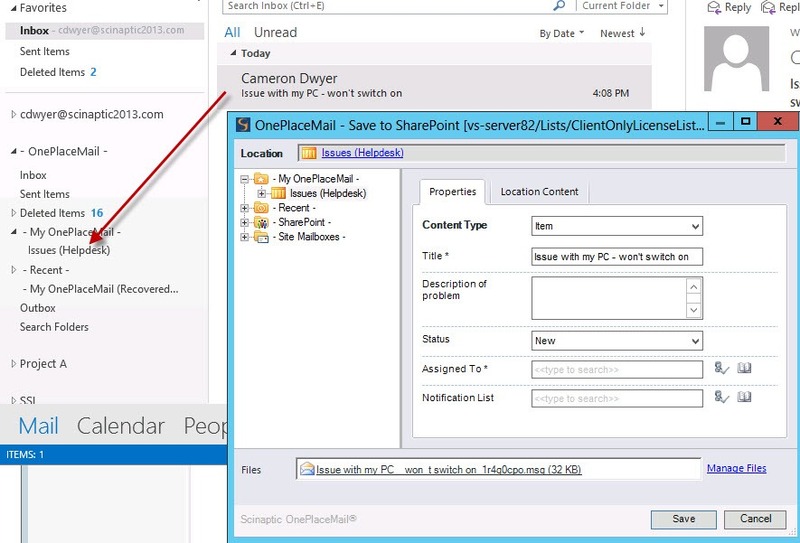 Do you know if there’s a way to add multiple people’s name/email to an item in a Sharepoint List? So maybe we’re tracking issues, and when the issue record is created, we want to tie 5-6 others to the record so they can be involved/aware in the updating of that record and/or the communications related to it…like a cc: list. 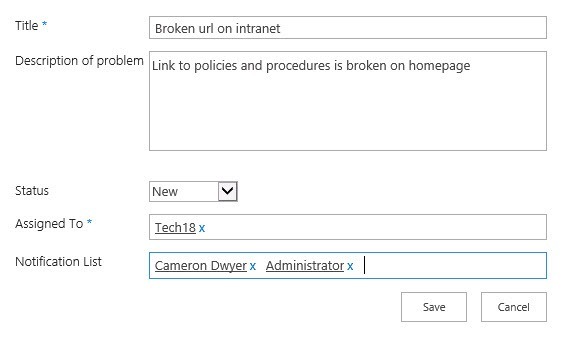 We have a implemented a simple Helpdesk issue tracking system in SharePoint. Note: before we jump into the solution, the crux of the article is about achieving the cc: style notifications. I’m not advocating this as a recommended design for a Helpdesk system. My first thoughts on this one was to simply add a multi-value Person/Group column to the list called “Notification List”, then create a view and set the filter on the view to where “Notification List” is equal to [Me]. Here’s one of many articles on how to use the [Me] filter. This works great and when you go to the view you just see the items where you are in the “Notification List”. 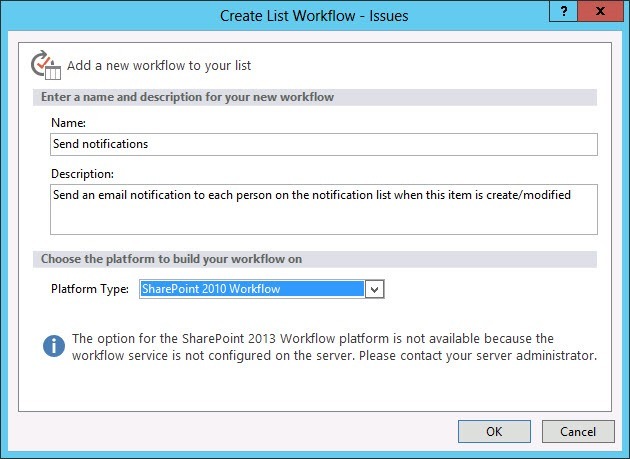 I then thought it would be a simple task to create a SharePoint Alert on this list so that whenever someone creates or modifies an item in this list an alert notification email would get sent out. This all works fabulously if there is only ONE person in the “Notification List” column. As soon as you get multiple users in the “Notification List” column, the alerts just do not get triggered. The view filter works fine and shows the correct items when single or multiple names are entered, but it seems alerts play by a different set of rules. 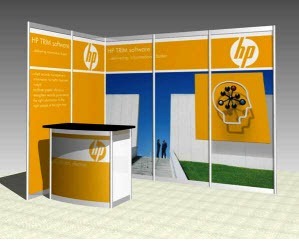 Time for a different approach, enter workflows. Can we achieve a simple (no code) workflow to send the emails out? Sure we can. Here’s how it is done. Now add a people & groups column called “Notification List”. Ensure is accepts multiple values and I’m going to just allow people (not groups) to be selected. 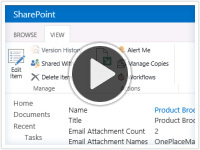 So now to the meat of our problem, how do we get SharePoint to send an email to everyone on the notification list when the item is initially saved, and then every time the item is edited? We are going to have to create a workflow using SharePoint Designer. So let’s fire up SharePoint Designer and connect to the site that contains our list. Then select “Lists and Libraries” from the left navigation. Now click the Email these users link to define the email message. Now you can specify a subject (using the function builder to include the Title of the issue) and the email body, again you can use columns from the issue item and include a hyperlink directly to the item. 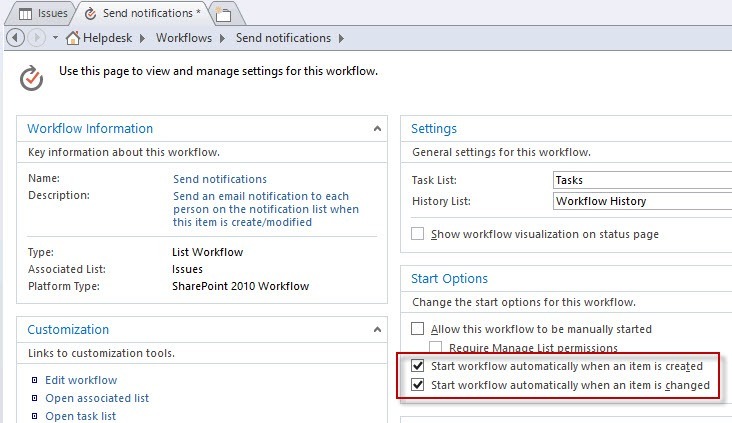 Return to the workflow information page and set the triggers to automatically start this workflow when an item is created or changed. 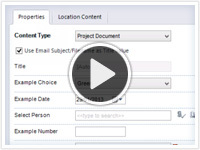 We can now create a new item in SharePoint specifying some users on the Notification List. 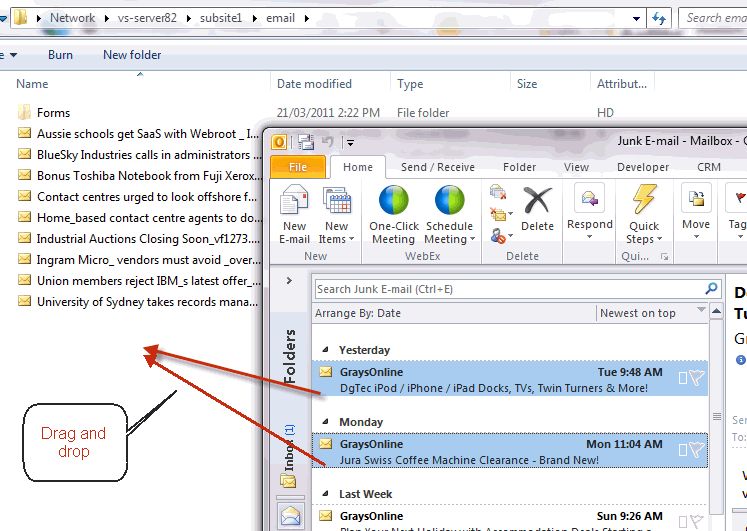 When we save the item, people on the Notification List will automatically receive an email as shown below. Remember when we set the scenario that most issues are raised by an email being sent to a Helpdesk staff member (yes they can’t just create them in this list themselves!). 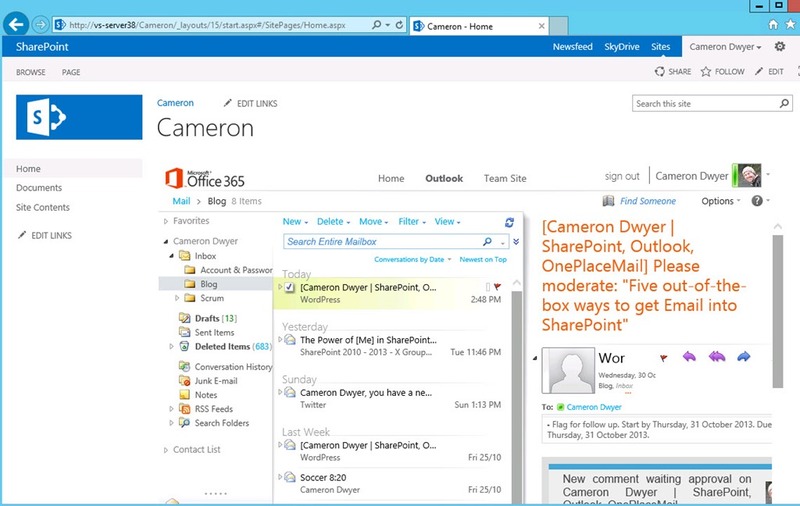 What we really want is that email message (and any attachments it has) stored on the issue item as an attachment. 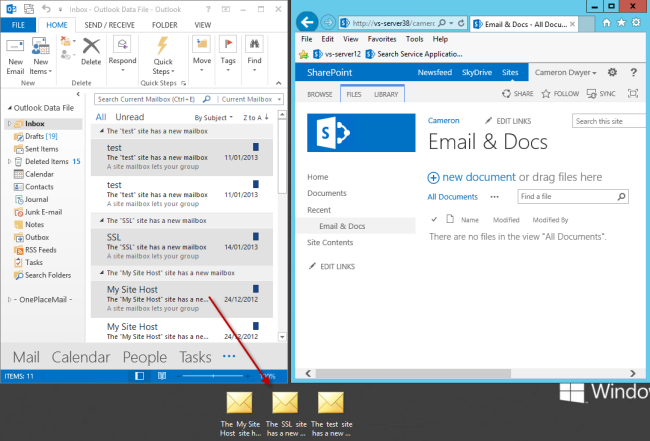 This would be a bit tedious for someone to save the email as a file and then manually attach to the new SharePoint item. 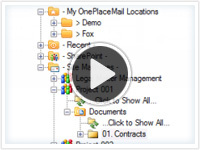 Enter OnePlaceMail (the Express edition is a free add-on to Outlook). 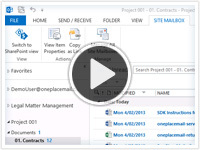 Simply install OnePlaceMail on the Helpdesk users machine that has Outlook. 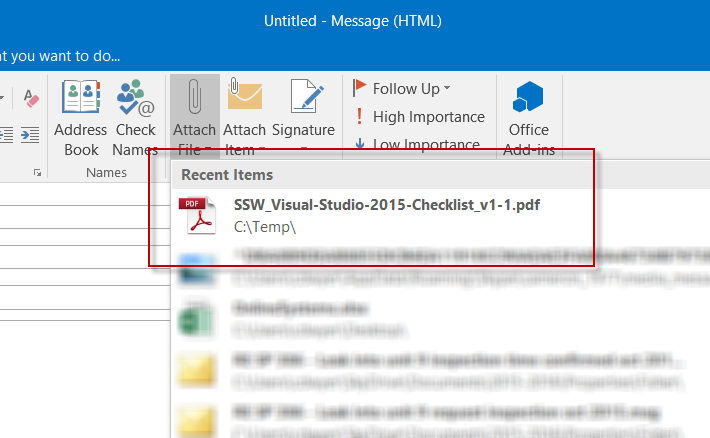 You can now ‘bookmark’ the Issue list and it is available (yes the whole SharePoint list with full functionality) directly in Outlook just like it is an Outlook folder. 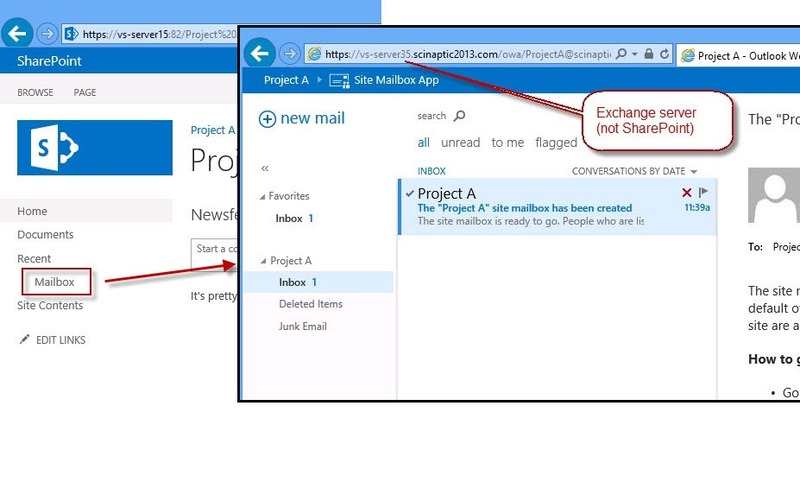 What is really awesome about this solution is when an email comes in that you need to create a new issue item for, you simply drag and drop the email to the Issues folder in Outlook and OnePlaceMail performs it’s magic and let’s you complete all the columns without leaving Outlook – no need to even open SharePoint in a browser! 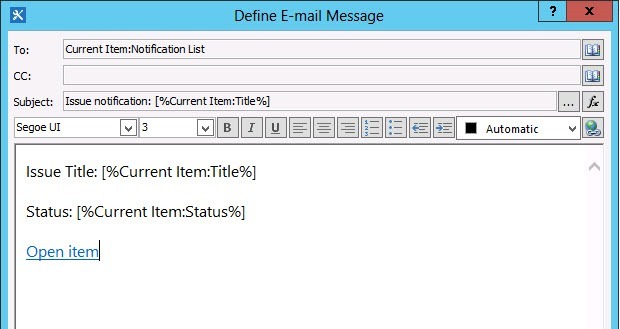 The item is now created in SharePoint, the email message is stored as an .msg file attachment, all column values are set and notification emails have been sent out. 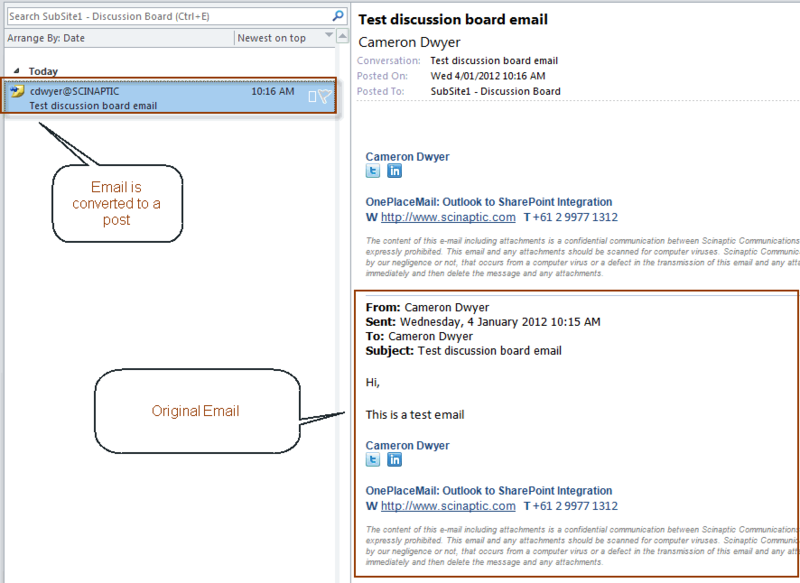 You can even just click on the Issues folder in Outlook (that we dragged dropped the email to) to see it in SharePoint. 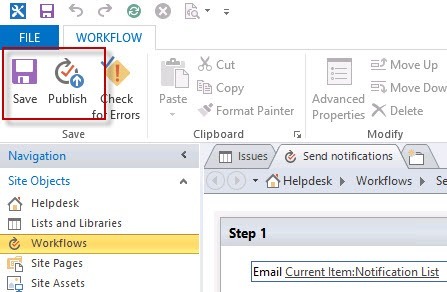 In response to Eugene’s comment here’s how to achieve inserting a URL link to the SharePoint item in the body of the email message that gets sent out by the workflow. 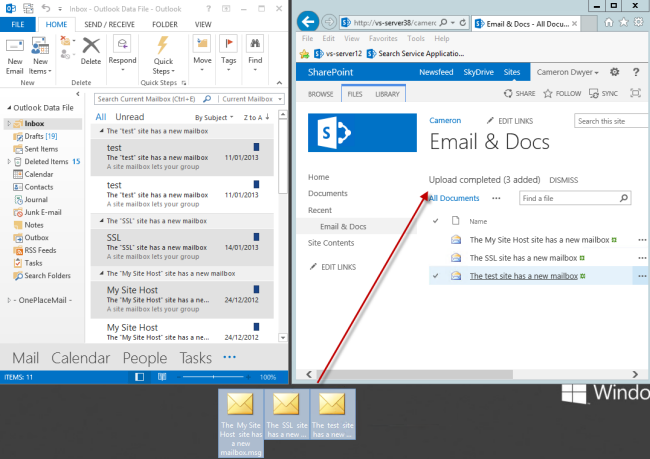 Please be aware that there is a fundamental different between SharePoint lists and SharePoint document libraries in the format (or syntax) of the URL required. 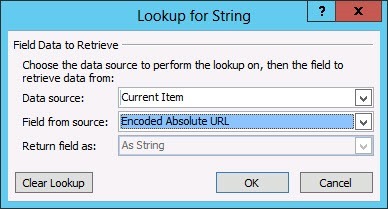 I’ll first go through creating a link to an item in a document library and then to an item in a list. To build the address use the Fx button as we need to use some properties from the item currently the workflow is running on. 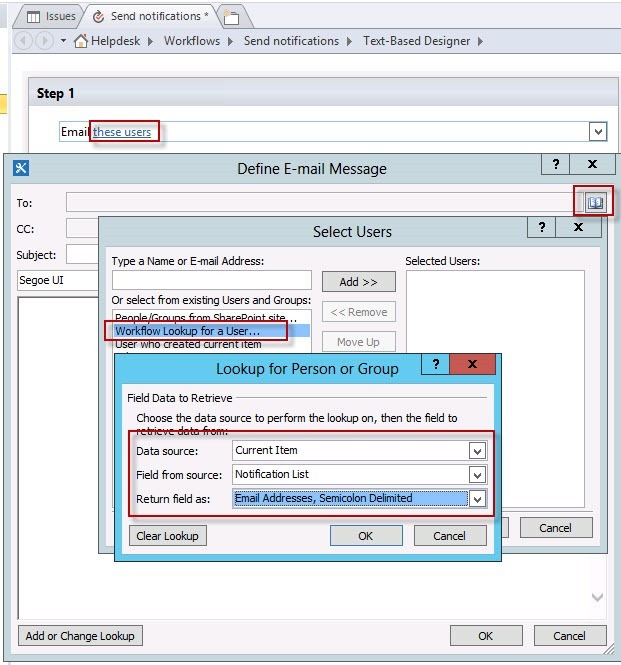 In a recent blog post Dan Theobald (Business Analyst, HP Information Management team) details the use case of OnePlaceMail in a SharePoint/HP TRIM environment for achieving records management of email records. 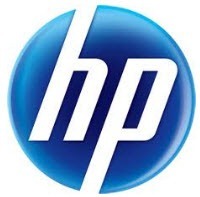 Dan continues to explain in detail how HP are internally using OnePlaceMail in a collaborative Help Desk solution built on SharePoint. 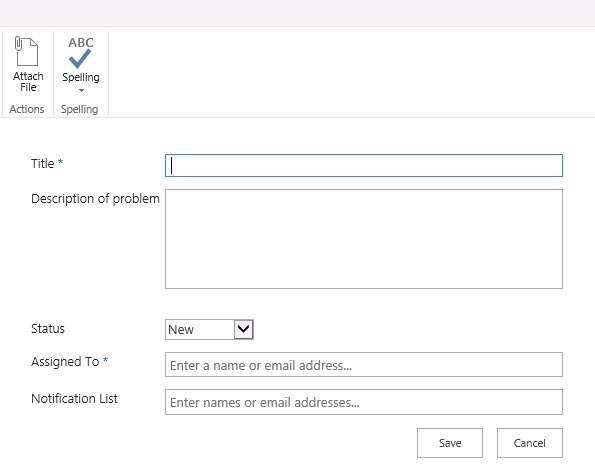 In this solution OnePlaceMail delivers the front line interface to Help Desk personnel for capturing initial Help Desk tickets, follow up correspondence and also provides access to the information stored in the Help Desk system (SharePoint) directly from within Outlook. It’s great to hear of these real world scenarios where OnePlaceMail is adding real value, and users are compelled enough to blog about their great experiences with the product! It drives us to make it even better.